The advancement of wireless earphones has gotten quite impressive over the last 5 years. In order to offer dependable connectivity and a clear sound, the Bluetooth installed in the earphones has to be reliable. Wireless earphones take away the code that is often in the way. The days of the cord of the earphones getting hooked onto a passing object and being abruptly ripped out of the wearer’s ears are over. Another benefit is being able to put the phone down and walk away from it without losing connection to it. This proves to be massively convenient especially when performing everyday tasks while also listening to music or talking on the phone. Many wireless earphones also have functions on the earphone themselves that allow the user to change settings on them rather than via their device. This includes features like volume, song change and answering a call, all without having to touch the device the earphones are connected to. It is rumored that wireless earphones are getting so advanced that they will be able to offer access to voice-controlled electronic personal assistant services (like Siri and Alexa). The intelligence of this type of technology has a lot of attention right now and it does seem that technological advances are being developed quite rapidly. It is hard to know where to start with so many on the market today. There are bigger companies like Apple and Bose that are offering top of the line earphones with the most advanced features. These earphones, though, do not come without a hefty price tag. There are also less expensive alternative versions as well as knock-offs for those looking to save money and are okay with lower quality and less reliable alternatives. This article focuses on a brand that sits in the middle of that price range. Beats is a company founded by rapper Dr. Dre. He built his empire based on his reputation in music. He has since built the company so large that they partnered with the very popular cult favorite Apple. We are specifically looking at the wireless earphones offered by the brand which are labeled the Beats X. These earphones are not completely wireless in that they do connect to each other via a wire but the earphones do not connect physically to the device it is connected electronically to but rather offers electronic connect via Bluetooth. We looked at what consumers thought of this product through consumer reviews and compiled them all into one article. This is our review of the Beats X. The Beats X offers a clear sound with a wireless component. 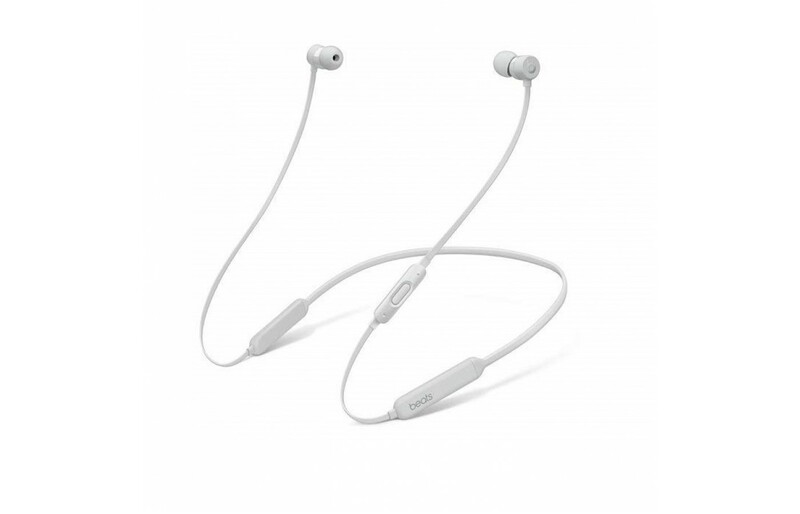 Though the earphones are not completely wireless (the ear tips connect to each other via wire but the earphones themselves are free from connection to the listening device directly). They also offer quick charge and regular charging abilities which allows for the individual using them to use them from dead in 5 minutes. This is particularly handy for those on the go or those with busier schedules. The earphones come in a couple different colors in order to offer variable in regards to style and customization. They also offer clear and authentic sound despite having a Bluetooth connection exclusively. This device also offers controls via the on-cable mic component. The on-cable mic component also offers a mic which allows the user to answer calls via as well as control Siri which is interesting as well. The Beats X offers Siri-compatible RemoteTalk which allows the wearer to take calls with an on-cable mic. This also allows easier use of other functions like music and other apps. This is a unique feature to Beats and Apple exclusively. Due to the massive amount of Apple users in Canada and the United States, this may prove to be particularly appealing. 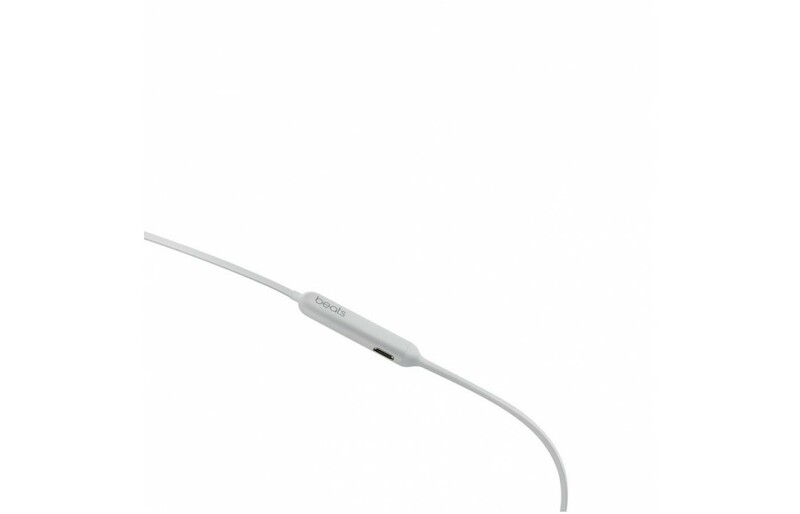 The Beats X also includes a flex-form cable which is unique to Beats as well. This cable offers a softer and more flexible fit which helps with comfort and durability. This device also connects to the Apple watch is is ideal for those that want to use these when on runs (this can only be used on devices that offer a cellular component and can utilize the music features without needing to be near or connected to a cellular device like a phone or a tablet). This concept is fairly new and technology forward. The Beats X is supposed to offer crisp and clear acoustics to the individual wearing them. They use Class 1 Bluetooth technology which is top of the line Bluetooth technology. Those who bought these earphones were happy with the sound but it regularly reviewed as not comparable to popular brands like Bose. Some reviewers also found that the mic offered with these headphones wasn't very good and lacked clarity to those listening to the individual speaking through it, unfortunately. This may impact those purchasing these earphones for business purposes. The Beats X has partnered with the very popular brand Apple in order to offer a better connection to iOS devices. The Beats X offers an Apple W1 technology chip which is supposed to offer a faster and more seamless connection to Apple devices. It also is supposed to offer seamless switching between Apple devices which those who are die-hard Apple users and own more than one Apple device. The Beats X use Class 1 Bluetooth (as mentioned above). This is top of the line Bluetooth technology. This is the Bluetooth class that offers the longest range. This means that the device will stay connected for an extended distance from the device being listened to. 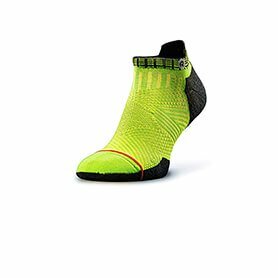 This allows the user to move around freely without having the move the device often (particularly useful for working out and walking around the house). As mentioned earlier, the Beats X offer a flex-form cable offered exclusively by Beats. This cable is not only soft to the touch but also flexible for a more comfortable fit. They also offer a variety of 'eartips' in order to offer a more customizable fit. This may be particularly appealing to those with unique shaped ears. The website regularly refers to these earphones as being comfortable for all day use. Those who bought this product found that the 'eartips' that came with these earphones were a game changer in that they could finally find a product that fit comfortably in their ear. This was also particularly appealing to those who have two different shaped ears which are fairly common. This way they could find the ear tip that worked best for the individual inner ear. Many reviewers were very satisfied with the fit of these earphones, saying that they are the most comfortable earphones they have ever owned. One reviewer noted that they regularly wear these earphones to work which is positive. 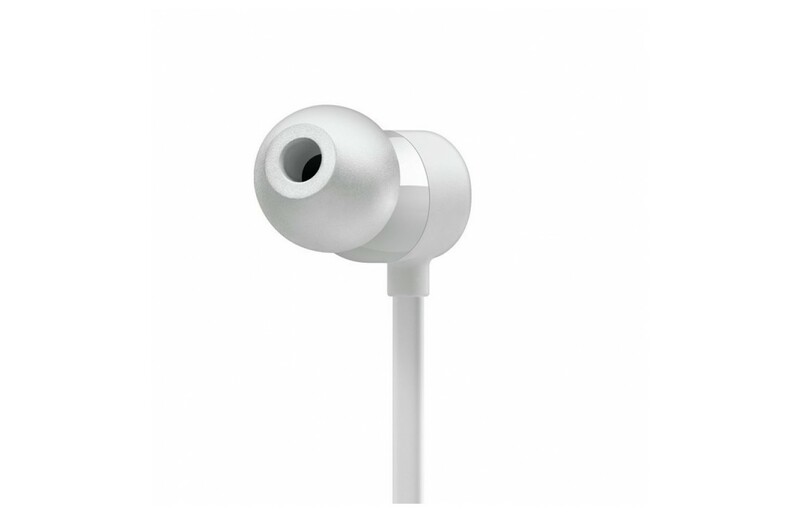 Reviewers also noted that these earphones are also very lightweight which is preferable. Beats is a brand that is typically associated with a more fashionable alternative to wearable audio technology. These earphones do not let that reputation down. They are quite attractive in design. They also look and feel like higher quality technology. The device comes in a couple different colors or shades including white and black. The headphones also have a magnet on the back of the 'eartips' that connect them together when not in the ears. This will comfortably keep them around the neck without having to readjust due to movement. It also adds a level of convenience to these headphones. The flex-form cable not only provides comfort and style but also offers durability by protecting the cord when in a pocket or purse. The cord can be rolled up and put away without fear that the cord will breakdown as a result of being continually tugged (when rolling them up). One reviewer who is a fan of the product did find that after a year or two they did start to lose their aesthetic. They found that the cord started to lose its shape and the seam of the cord (between the silicone) is starting to expose its internal wires. The buttons also wore out in that time to the point where it is hard to feel whether or not the button is being pressed or utilized. Though this was an issue the individual who bought them did not regret their purchase and commended Apple's exchange policy (Apple offered them replacement of the unit for $75 which is under half of what the product is being sold for). As mentioned earlier, this device uses an Apple chip in order to seamlessly connect these earphones to iOS devices. It also helps the user transfer between iOS devices. It also offers top of the line Bluetooth technology in order to offer better connection at longer distances. One issue that some find with wireless earphones is a lack of connection or an easily dropped connection which make them inconvenient and hard to use. These offer top of the line Bluetooth in order to offer better ease of use. Those who bought these headphones really appreciated the cord of this product for when using them in motion (like on a bike or running). They found that they felt this product was easier to use due to its code. They felt that they were secure around their neck and there is no fear of losing them. The magnet that connects the back of the 'eartips' is also regularly reviewed as being outstanding. This is because it easily keeps them on the wearer's neck. The Beats X offers 8 hours of battery life. They also offer fast fuel charging which is supposed to offer a partial charge in 5 minutes that gives at least 2 hours of playback which is handy particularly for those on the go. Those who bought these earphones were impressed with the battery life of them. They said that they could easily wear these earphones for 2 solid days before having to recharge them which is even longer than the website states the battery lasts. One issue that reviewers found is that they cannot be charged when in use. Those reviewers were quite frustrated with this. Beats produce products that are quite popular but the price tag follows suit with the product's reputation. The price of these earphones is middle of the road in regards to wireless earphones price range on the market today. They are durable which is positive and they are also easy to use which is also important. Some reviewers did find that they are a little pricy considering what you are getting. 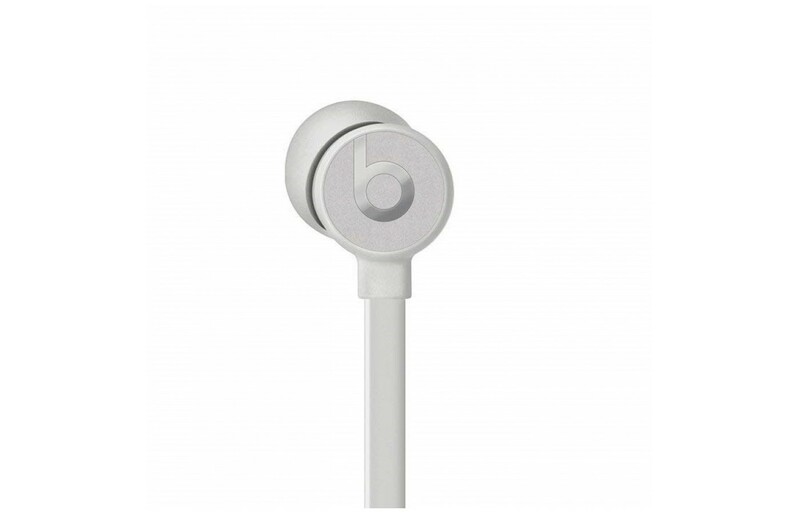 Some reviewers found that they didn't quite feel great quality which made them question the price of these earphones. Overall this product isn't a bad one. They offer a wireless connection. The wired portion of this set of earphones is liked by those who are in motion as it made them feel secure when in motion. The back of the 'eartips' is super handy in that they offer magnets that connect them together when not in use. This also adds a level of security that reviewers regularly praised. They are stylish and low profile (which is something that the brand Beats is known for). They are also soft to the touch and their cord is nicely structured and easy to store. There were some concerns about the quality of the cord in that after a couple of years there was some cord exposure due to the connection between the silicone broke down. They offer all the basic features associated with this type of product as well as some advanced features. There were some concerns about the price of these earphones though. Some found considering how minimal the advanced features were of this product, they felt that the price didn't quite match up. The battery life of these earphones is regularly praised and its fast charge technology is also regularly reviewed as being its best feature. Overall, they are a decent earphone and should definitely be considered for your next wireless earphone purchase.